The Attilan Royals receive a stylized makeover with Funko Pop Inhumans. The vinyl release offers a few options from the ABC television series. Many fans will recognize the superhero species from Marvel's Agents of S.H.I.E.L.D., despite the fact that the Inhumans first appeared in 1965's Fantastic Four comic issue #45. Since then, they have teamed with countless Marvel heroes and various animated shows. 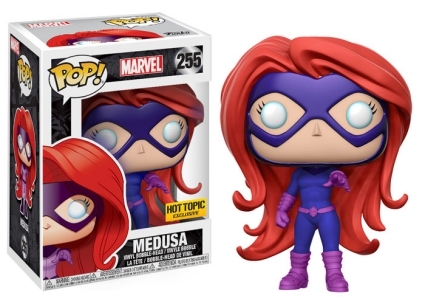 Attilan citizens are led by Black Bolt and his wife, Medusa, whose Funko Pop Inhumans figure features the Queen's long red hair, which she fully controls as her primary power. 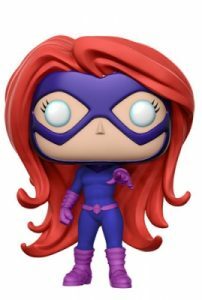 This Hot Topic exclusive also displays her iconic purple supe suit—puffy boots included! 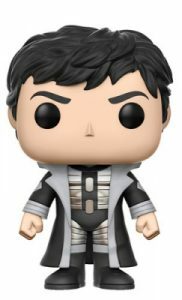 Order Funko Inhumans Figures on Entertainment Earth. The King's brother, Maximus, rocks a long silver and black coat over metallic (vibranium?) armor. 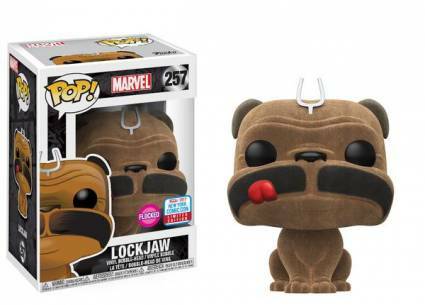 Funko Pop Inhumans even includes the Royal Family pet, Lockjaw. 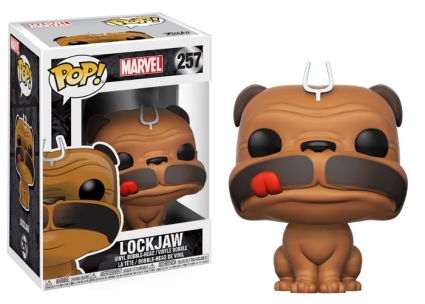 The oversized pup resembles a bulldog, however, after being transformed by the Terrigen Mists, Lockjaw has the ability—thanks to the antennae on his head—to teleport virtually anywhere, including other dimensions. The flocked Lockjaw variant is a 2017 New York Comic Con exclusive. Although not included (yet!) 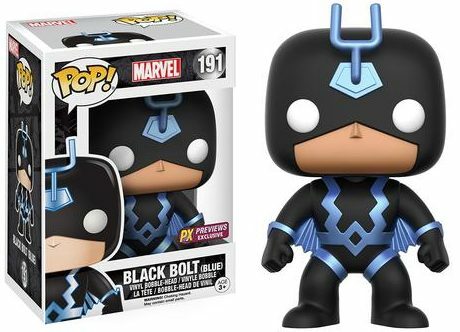 in the Funko Pop Inhumans release, Black Bolt and Black Bolt (blue) were issued as part of the PX Previews program. 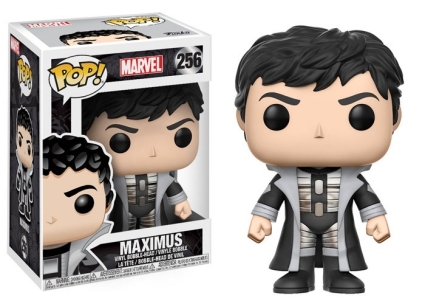 The Inhumans set is part of the main Pop! Marvel line, which is reflected by the box numbering. Check out related Inhumans collecting options with our trading cards guide.